SURREY RCMP announced on Monday that following a lengthy investigation, a suspect has now been charged in relation to the fire which destroyed a prominent business in the Surrey City Centre area. On September 23, 2017, the Hockey Shop Source for Sports located at 10280 City Parkway was destroyed by fire. However, no injuries were reported. At the time, Surrey RCMP said their officers had obtained surveillance video of two suspects alleged to be involved in this arson. 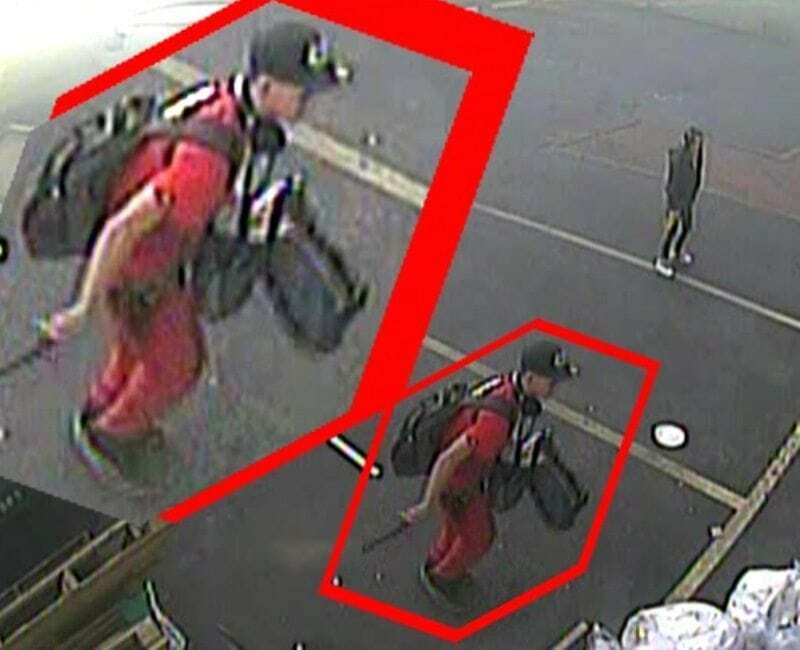 From the photos, the suspects appeared to be a male dressed in all red and carrying a back pack and a female wearing dark clothing (see photo). James Marvin Haslam, of no fixed address, has been charged with one count of arson. He was arrested and remanded to custody. His next court appearance is scheduled for Thursday (March 22).